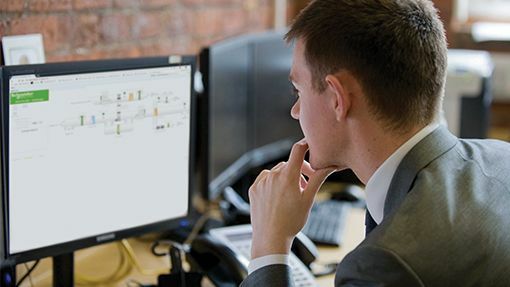 Our analytics & controls bureau can remotely diagnose faults, greatly improving your first time fix rate, reducing truck rolls and optimising your budget. In some cases we can even perform a fix. That’s right, it’s not 1999 any more. We leverage the latest technologies to provide much more than just man-days on-site…but if you do want man-days, we can do that too. 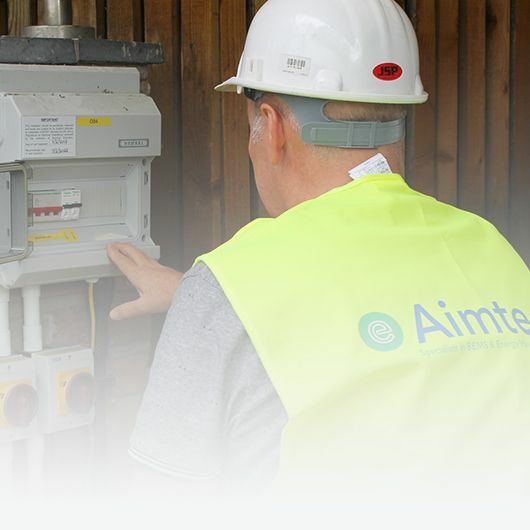 Here at Aimteq we can even remotely interrogate your BMS, often diagnosing faults remotely and providing work-arounds, or even providing intelligence to your mechanical contractors to improve your first-time fix rate. 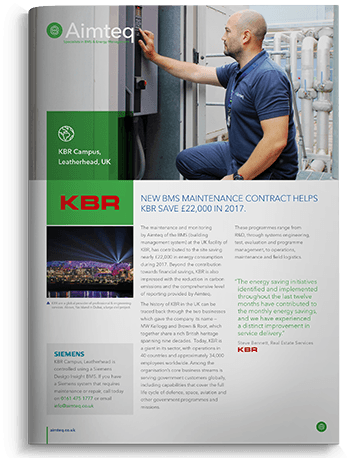 If that’s all a bit hi-tech for you, we can provide contract-free callouts & maintenance or BMS maintenance contracts…and yes, even regular man-days on-site. 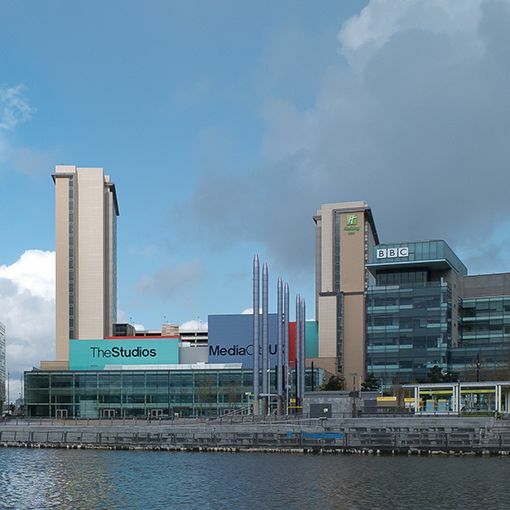 We have a BMS maintenance engineer permanently located at Media City, providing excellent levels of support and first-class maintenance. Software backup copies are essential to protect your software investment and avoid time-consuming and costly restoration work. We will regularly make backup copies of your site-specific software and hold these copies in safe-keeping. This discount will apply to all replacement parts as well as any additional items needed. Our engineer will optimise the performance of the control system with regard to comfort, cost-effectiveness and environmental impact (optional service). We will visit your site to undertake performance tests of the control equipment installed and your sites. We will optimise the performance of the controlled system with regard to comfort, cost-effectiveness and environmental impact. The ability to call out an engineer, in or out of office hours via our 24 hour remote centre. Our staff are available seven days a week, and give you the assurance of constant engineer availability. A list of agreed spares will be held at your premises giving a speedier fix to any urgent problems that arise. This service has the added advantage of having spares to hand when a breakdown is first reported saving on a return visit and minimising any disruption to occupants or processes. We will supply all parts found faulty on the service visit or breakdown call at no extra cost. Parts damaged by abuse or negligence will not be covered. Adding unlimited site callouts adds real peace of mind for your estate. Truck rolls can become expensive, but with the unlimited option this needn’t be a worry. 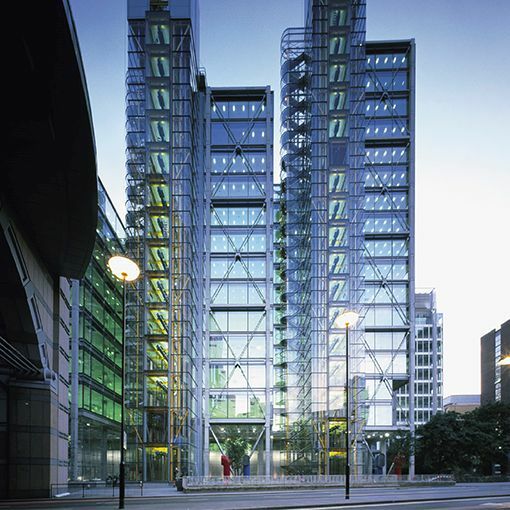 We provide BMS maintenance service to 88 Wood Street, an 18 storey commercial property in Barbican, London. Sometimes your business needs the local touch! If you’ve got a problem, you want it sorting ASAP – not when there’s an engineer in the area next week sometime. Using our three regional offices and nationwide network of engineers, we can provide complete peace of mind, reach and a reassurance that we can deal with your problems or BMS install no matter where you are in the UK, or even Europe.